Kat is bred to be a cowhorse! 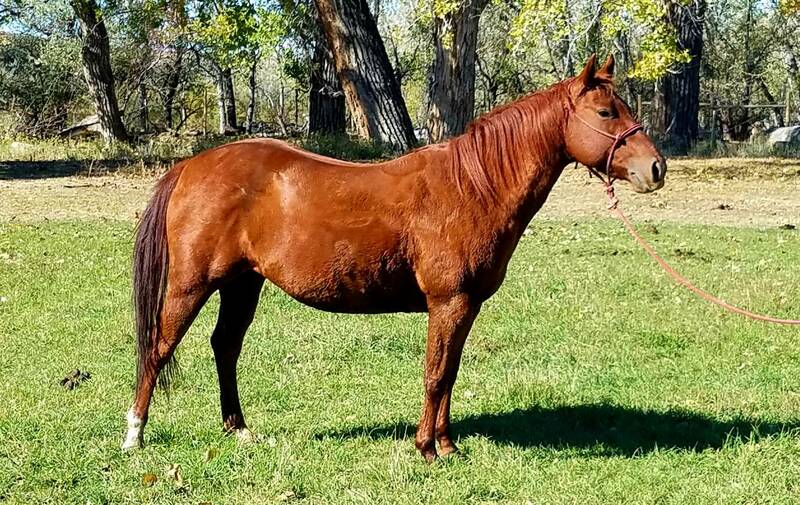 She is a cute, quick, athletic mare with a calm demeanor and kind eye. Gentle and easy to be around, Kat has been in cutting trailing. We hauled and showed her in two handed cutting classes at club cuttings. Super papers, good feet and bone, all in a smaller, easy to ride package. Her real-world experience working in the hills of Wyoming give her a solid foundation and a quiet mind. 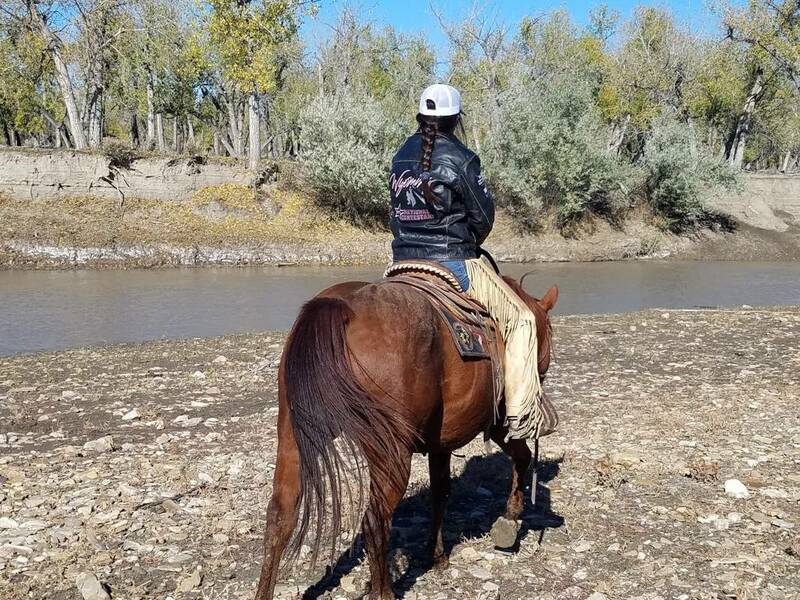 She has also been started on the roping dummy and spent several months with Jamis Johnson. 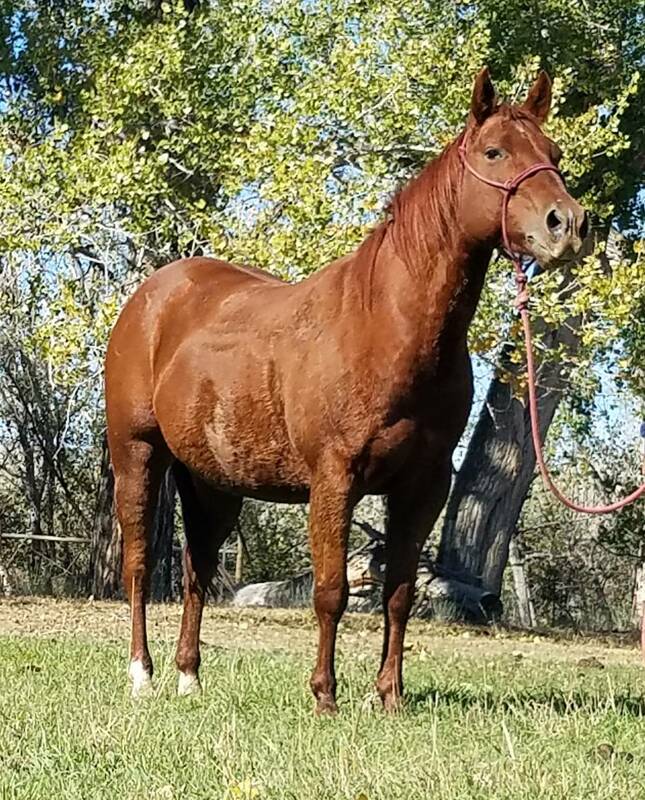 Take this super sweet mare in any direction. 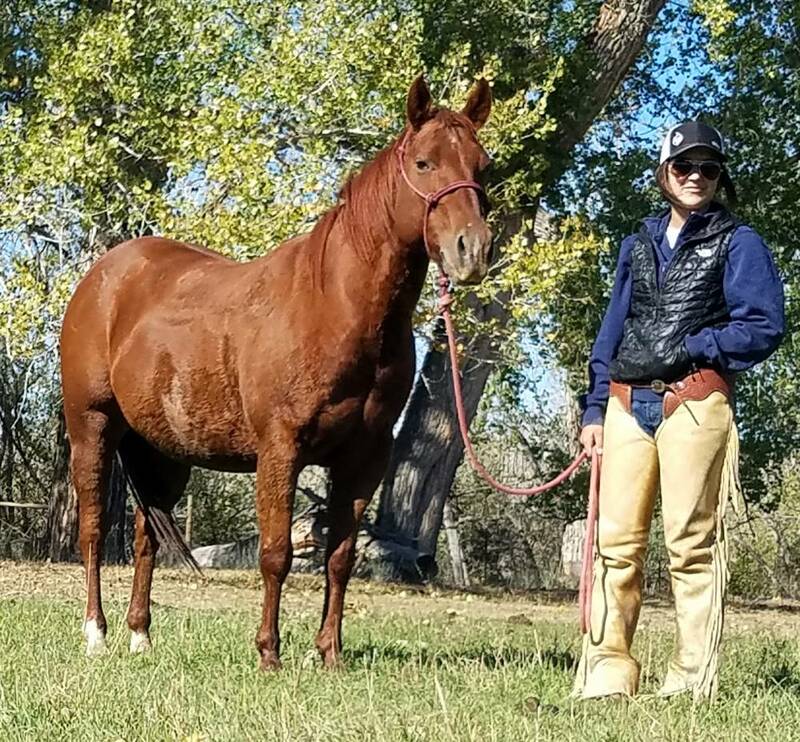 Go on with her cutting training or take another direction; at just 5 years old, this nice mare has potential for it all.